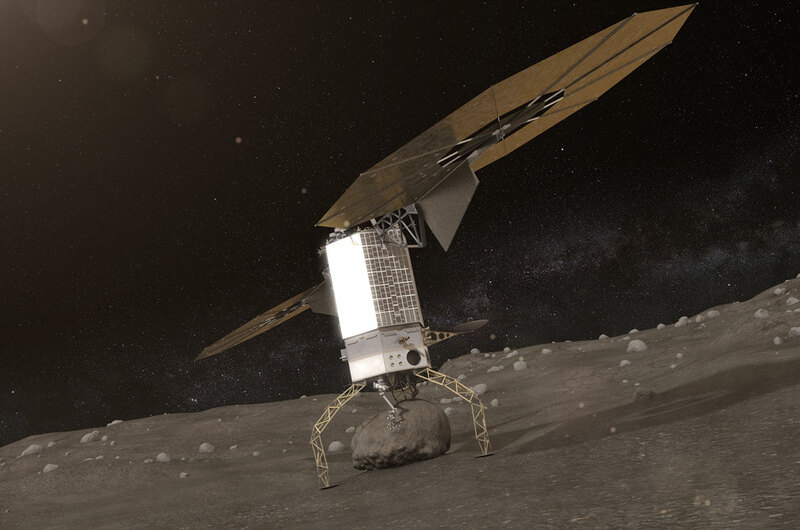 Washington – It is better to fetch a rock from an asteroid into lunar orbit than hooking a whole asteroid according to NASA who has unveiled an ambitious looking mission of sending a robotic spacecraft to an asteroid. The boulder which is estimated to have 10 feet in diameter right from the surface of an asteroid will nudge into an orbit around the moon. To accomplish this mission commonly known as the Asteroid Redirect Mission (ARM), the agency is undertaking a construction of probe equipment which will be fitted with a pair of robot arms to be used in grasping the boulder. The spacecraft is expected to take close to two years before reaching its target. That said, preparations for this action-packed mission to MARS are under way which will include carrying out various tests for a number of technologies and for the single purpose of deep space exploration especially of the red planet. There will also be the testing of Solar Electric Propulsion (SEP) which converts sunlight to electrical power that later propel the charged atoms so as to move the spacecraft. “So far, there is an increase in the detection of near – Earth asteroids by almost 65%”. NASA indicated with the Associate Administrator Robert Lightfoot saying that there will be a direct impact for ARM in planning for the future human missions to deep space which will begin a new era of spaceflight. The launch of the ARM mission with an expected budget of $1.25billion is likely to take place in December 2020. However, this budget is not inclusive of the larger costs of the rockets launching the spaceships. A 24 – 25 day crewed mission of two astronauts will then be sent to capture the lump of rock in the mid-2020s which will lead to the launch of an Orion spacecraft on the Space Launch System. It is said that this mission will benefit science more than any other option as a result of the survey and the planned analyses of the boulder.